Well made it to Siam Reap, after a heavy night on the Khoa San Rd in Bangkok. If there is one place I will have o go back and see properly its Bangkok what a city. The first thing to hit me on the road in from the airport was the poverty then you see the immensity of the city with more skyscrapers than London, a complete contrast to the initial impression. Once in the city you see how slum and hire rise intermingle only yards apart the contrast is quite stunning. 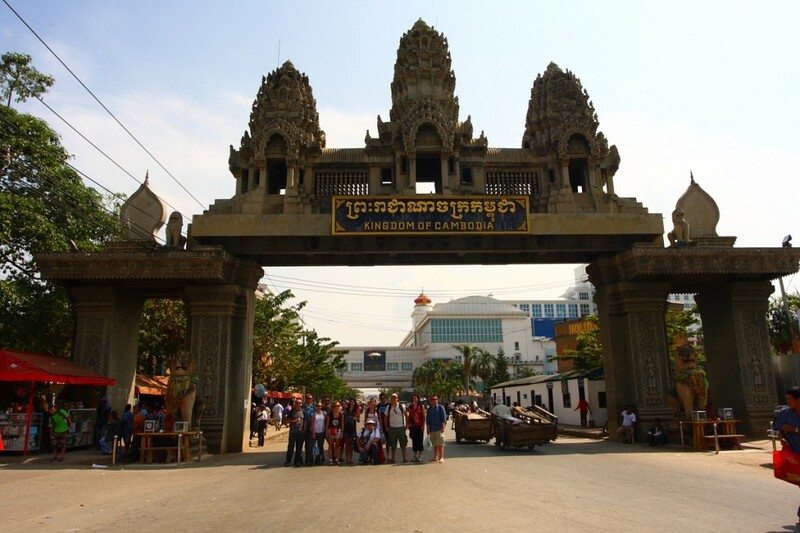 Anyways got up with one hell of a hangover and got on the bus, took about 4hrs to the Cambodia Border and then another 4 to Siam Reap, crossing that seem more beurocratic that the social back in the UK, how many forms I had to fill in was quite astounding but we got through. We stopped in at a Silk Farm on the way which was very interesting and funded by the EU as part of some development program, all very interesting. Tomorrow to Ankor Wat and lots of photos will be online soon. Its hot her and humid in fact its really nice.